The Police were one of the best pop bands of all time. Each song of theirs is a mix of pop, rock, and reggae adapted for a large audience. Like any good band, they evolve throughout the course of their career, in this case lasting five albums. Some people call that a short career, but honestly it just means they didn’t have a chance to go stale, as their last album, 1983’s Synchronicity, turned out to be their best. The three people in this band are each great unique players AND songwriters. Sting, who sings and plays bass, writes most of the songs, but it the band would not be the same without the abstract Andy Summers on guitar and the versatile Stewart Copeland on drums (who composed the soundtrack for Rumble Fish as well). All members of this band are in my top virtuosos of their specific instruments, and this mix makes all five albums of The Police worth treasuring. Unlike most “singles” bands, none of the singles collections available really do the band justice (you would have better luck picking the best 3 or 4 songs from each record). First and foremost, The Police made great albums. The first Police album is a straight up merging of punk and reggae. As was the style of the times in late 70’s England, The Clash and some other English punk bands from the late 70’s experimented with reggae, but this band really gets it down to a science. 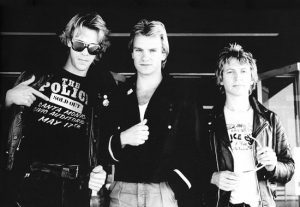 The Police don’t get enough credit: they were the best pop reggae band ever! Some of these tunes are easily accessible, like the great tale of yearning for a prostitute called “Roxanne”, and other hit singles “So Lonely”, “Truth Hits Everybody”, and “Can’t Stand Losing”. Other songs are growers like “Hole in My Life”, which at first seems to long; “Masoko Tanga” which closes the album in some Jamaican language that is very hypnotic; “Peanuts” with its hyper-active sound but strange guitar work, courtesy of the abstract jazz-master Andy Summers. Like many debut albums, the band has some failed experiments here and there. A couple of tunes are kind of lame towards the end, specifically “Born In the 50’s” and “Be My Girl Sally”, though both contain storytelling style lyrics. Lesson? Guys, don’t tell straight stories in your songs and forget to write melodies! It is hard to expect every song to be as iconic or as memorable as “Roxanne”, but I do feel opening track “Next to You” isn’t up to the task and kind of feels bland in comparison, where as I actually feel that “truth Hits Everybody” and Peanuts” are the albums underrated tracks that deserve to be heard by a wider audience. That enthusiasm the Police have on their debut album makes it an easy album to groove and enjoy, whether the style of the time was overtly punk or not, and the band in such carefree form here it’s impossible not to enjoy this record. Oh, and the title of the album is French for “outlaws of love”. White Reggae is the English name of this second record from The Police. About half of the record is more of the same, punky reggae that is very poppy, but where this album differs is its dark mood. Songs like the emotional “Bed is Too Big Without You”, flawless pop single “Message in a Bottle”, fluttering reggae tune “Bring On the Night” and the demented “Contact” are true evolution for the band, and they are all great additions to the band’s catalogue. An evolution from the debut is that the album is more confident and consistent in its style and beyond the single ready songs, the album endures. “Walking On the Moon” was somewhat of a grower for me, as I was unfamiliar with this hit when I first head the record, but I love it’s relaxed slow jam vibe. “It’s Alright for You” shows off Copeland’s drumming like nothing else, and proves him as a devastating force as a percussionist. Likewise, “Contact” written by Copeland, shows off Sting’s incredible bass playing, and you can tell bands like Primus took some notes on from track. Consistency wise, there are two songs that don’t work: “Does Everyone Stare” and “Deathwish”. One hardly notices the flaws on here though, with great album tracks like the comical “On Any Other Day” and supersonic closer “No Time this Time” to boost the speed back up to normal. Reggata de Blanc is another stellar record from an evolving band, but it should be noted that apart from “Message in a Bottle”, the album is all about Stewart Copeland as his drumming is one of the best ever heard on any rock n roll album. Taking the best qualities of the first two albums, The Police show the world what they are made of on this record! The Police’s third record is their best one yet, and deserves to be called a rock masterpiece. Songs like “Don’t Stand So Close To Me” (which contains poetic lyrics about poets) and “De Do Do Do, De Da Da Da” (which demonstrates how words are kind of meaningless) became hits for the band, and other album tracks such as my personal favorite, the loveable “Canary In a Coal Mine”, and “Bombs Away”, (the latter which was written by Copeland), are also outstanding and should have also been hits. The sound of the record is more polished, credits go to producer Nigel Gray. There are fast, mid-tempo, and slow numbers, and all them are beautifully constructed reggae pop. The flow is great too, each song from beginning to end flows perfectly into one another. The album is full of great Police moments, the intricate Copeland percussion in “When the World is Running Down”, the Summers bizzaro guitar solo in “Driven to Tears” (with excellent song-style change midway through), the chant like shouts of “Voices In My Head”, and the dementia of “Behind My Camel”. Andy Summers dominates this record probably shows off his best guitar sound on ZM, just listen to that echoing guitar sound, and think about what future guitarists mimic it. The band shows some branching out too, like the political lyrics of “Bombs Away” which talks about Afghanistan hills during a country’s foreign occupation. The closing instrumental “The Other Way of Stopping” lasts too long and is unnecessary, but that is the albums only little flaw. With music like this, The Police established a huge following and with good reason. The group goes all synth heavy and experimental on their 4th record, Ghosts in the Machine. For three tracks, it kind of works. The opener “Spirits In the Material World” is good, but “Invisible Sun” is even better and pretty much the same song with a better chorus and a more mature, abstract point. “Every Little Thing She Does Is Magic” is like “Message In a Bottle” of the record, one of those great, great songs that is formally perfect. Unfortunately, there is a lot that does not work on the record, as the next five songs has the band sounding bored. “Demolition man” is the longest Police song yet, and the worst: just the same thing repeated over and over for six minutes. 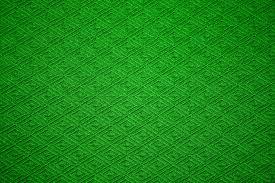 “One World” and “Rehumanize Yourself” are equally repetitive, and the results are really dreadful. “Too Much Information” repeats the shouting trick of “Voices In My Head” from Zenyatta Mondatta, and it is also super boring. Fortunately, the last of the album picks up a bit, with the sci-fi tribute of Summers’, “Omega Man” (his greatest Police song), and the Copeland closer “Darkness” has a nice synth part. It is good The Police attempted to change their sound, but this album has transitional written all over it. Still, the other albums are all worth getting so the die-hard fan might as well get this one too (since the singles collections do not do the band justice). It is perhaps the only weak album in their discography. It is crazy to think that this album sounds so revitalized, but it does. From the pounding opening title track onward, Synchronicity is an ever shifting, life altering, masterwork. It also contains two of my personal, all time favorite songs: “O My God” is an incredibly emotional song, with a bass line to DIE FOR, and gut-wrenching lyrics about a man’s despite cry to God: “Everyone i know is lonely/and god’s so far away/and my heart belongs to know one/so now sometimes I pray/ take the space between us/fill it up some way”. “Synchronicity II” is an awesomely constructed tune, containing enough melodic ideas for five different songs, with dark imagery about the Lock Ness Monster and pollution….or something. Whatever it’s about, the latter is still my favorite Police song. Though few people agree with me, I also totally love “Mother”, Andy Summers’ demented account of a Psycho inspired Norman Bates like character. It still impresses me that the band put a song on their most accessible album this INSANE sounding, as it is the most experimental the band ever got including a baffling time signature. “Walking in your footsteps” almost halts the album in its tracks with its odd naïve sounding vocals, “Miss Gradenko” is right up there with “O My God” as an overlooked, great album track. As Reggata de Blanc was Copeland’s album, this one is all dominated by Sting, with the impressive side two streak of “Synchronicity II”, the bands biggest hit “Every Breath You Take” (emotional song about government/relationship? ), “King of Pain” (with its aching, epic ending! ), “Wrapped Around Your Finger” (foreboding, mysterious mood), and “Tea In the Sahara” (great album closer). Each one of those five songs are a masterful pop song, and that alone would cement a band’s long-lasting reputation. But the Police were an exceptional band, putting all their hits at the end of the album like that, it helped a lot of people that usually wouldn’t listen to a whole album do so, and it was a smart move. This was the best and most successful album of the band career to date…so they broke up soon after. What?!? I don’t know, maybe they need to just be apart, and each write their own songs, who knows. It was maybe the best breakup album ever though, and a fine last word from an all-time great band. No one out there were quite like the police, much like The Who before them, they were overall always unique unto themselves. They went out in top form. Side Note: The jazzy “Murder by Numbers” was on the CD version of the album, and doesn’t add or detract much too it. I would not say it is essential listening after the excellent closer “Tea in the Sahara”.